Switches for power, mute, phase/polarity, display and inputs as well as individual LEDs for all sample rates from 44.1kHz to 192kHz. ModWright. Dan Wright's modifications to Oppo universal players had buyers and reviewers call them very MuchRight. Following up with his own DAC must have been challenging. How to add over and above his modifications for which he'd not skimped but gone full hog? One thing is certain. At over two years, the Elyse DAC named after Dan's daughter had lingered in gestation limbo longer than any other ModWright product announcement in recent memory. But by November 2014, production was underway to net a BB PCM1794-based 24/192 machine without fashionable DSD. It combines 6922 valves with Lundahl i/o coupling transformers to eschew any and all signal-path capacitors. Dan's digital collaborator for the FPGA coding of the data and clock buffering was Alex Dondysh*. The tube theme continues with thermionic rectification via 5AR4 and a purist approach which says no to feedback. Digital inputs are four square: coax, BNC, AES/EBU and async USB 2.0. Outputs are on RCA and true transformer-balanced XLR. Z-out is a usefully low 120Ω, tube rolling option are plentiful (7308 and 6DJ8 variants plus GZ34 type rectifiers including Emission Lab's enormous 5UG4 which simply requires popping the protective grid). The deck is styled in typical ModWright fashion, back-lit in blue and measures 17 x 4 x 12" WxHxD. It weighs a chunky 30lbs. Doing some due Dondysh diligence on LinkedIn, one learns that the Kiev Polytech MSEE has worked as hardware design engineer or consultant for Perfect Video Products, International Microcircuits Inc, ShareWave Inc, Virtual Concepts Corp, Vicom Systems, Ikanos Communications, Candescent Technology, Power Line Networks, Applause Technologies, Focus Enhancements, Nuvation Engineering, Oppo Digital (audio boards for the BDP-93/95), NuForce (DACs, FPGA, headphone amp), Millenium Space Systems and ModWright. His designs for the latter include a "high-quality S/PDIF input board with Xilinx Spartan 3 FPGA reclocking, high-quality 24/192 DAC module and external 24/192 DAC with Lattice XO FPGA reclocking". 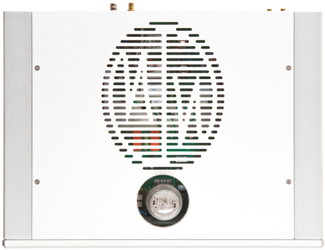 Unlike the small SMD-fitted boards and compact power toroids of many modern DACs, the Elyse with its double C-core power transformer, sizeable power supply, Lundahl push/pull C-core output transformers and tubes is a throwback to times when hifi components were made with point-to-point wiring or thru-hole parts. For those curious over how the DAC option for the LS-100 preamp compares, that's $1'650 versus the $6'900 of the Elyse. Whilst the converter chip is shared, little else is. 'nuff said. 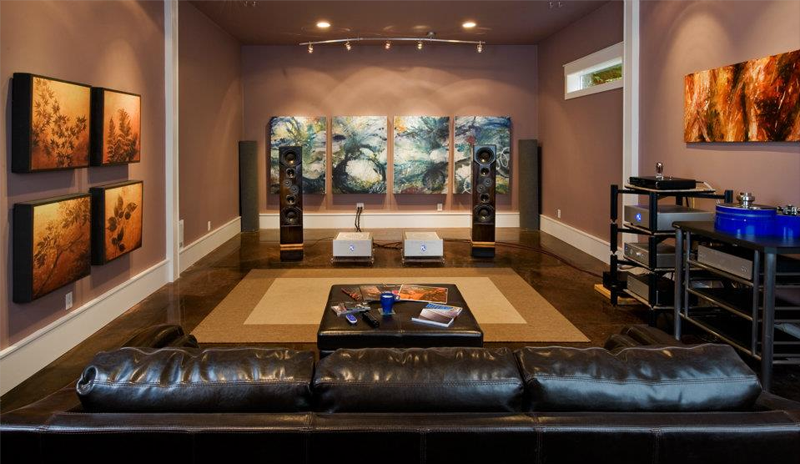 On the capitalist bulge aka competitive edge, my two favourite tube DACs are the Fore Audio DAISy 1 from South Korea; and the Aqua Hifi LaScala MkII from Italy. The latter too is 24/192 and no DSD, the former 32/384 with DSD. Both are true balanced machines. With its LL1689 Lundahls, the balanced outputs of the otherwise single-ended Elyse are transformer-generated and true but may not be operated in tandem. It's either XLR or RCA. On the to DSD or not to question, the market embraces all permutations. 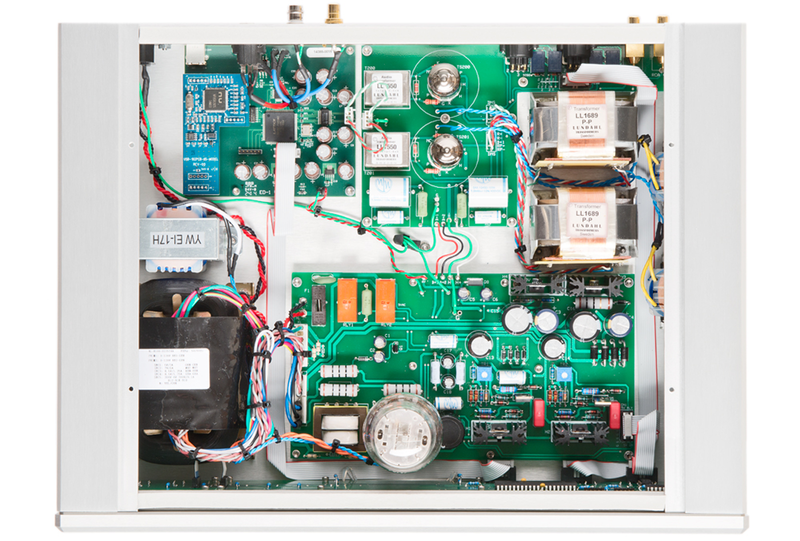 We have DSD only (Meitner, Playback Design, Nagra, PS Audio, certain Lampizator models); PCM only; hybrid DSD as multibit schemes; and DACs which are based on dual-duty chips. Propaganda runs the giddy gamut. Meanwhile the doubling of sample rates continues unabated. EMM Labs started DSD 1024 (x 16) by October 2015. 768kHz PCM DACs might have kicked off with AMR subsidiary iFi a year earlier. This writer, listener and punter not only by proxy comes down squarely on PCM. My library contains not one DSD track that's there because I care to listen to it. I've got just enough to validate can-do DSD claims and tick off that box. If you're a DSD fan, Elyse won't do you natively. Which sounds quite pervy. If that gets you hot, the 384 LED on the front panel is a sign of things to come; a future DSD option. If we invoke the precedent effect—how much of a DAC's guts are assigned to digital, analog and power supply respectively—the above photo spilled it. The Elyse weighs in heavy on analogue and power. That's sensible. Nobody can listen to digital. Prior to conversion, that signal is good only for scope jockeys. Contrast that with DACs which eschew output stages altogether because their decoding engine delivers the necessary voltage/current without boost or buffer. Again, the market has room for it all. By now you know where the ModWright comes down. It goes heavy on iron and the analog domain. For a tube deck, the absence of coupling caps is noteworthy (the MWI-branded oil-impregnated capacitors above are power supply decoupling units). My LaScala couples its tubes to Fets. The DAISy uses capacitors. Neither champions valve rectification. Elyse welcomes a 5AR4, 5U4G, 5U4GB, 5V4G, 5V4GB, 5R4GYS, 217, 274B or GZ34.